Contract Mattresses come in all shapes and sizes but the Zempurest Contract Mattresses are for the discerning customer who wants to have the ‘edge’ in front of their competitors. Contract Mattresses come in all shapes and sizes but the Zempurest Contract Mattresses are for the discerning customer who wants to have the ‘edge’ in front of their competitors. We at RPL, produce a mattress which will add pure luxury to any High End Hotel chain. But it will also be a mattress with sensible solutions for the Hotel Procurement Department. Zempurest Contract Mattresses, range is named Nuvolo which is Italian for cloud, which is an apt name for this luxury mattress. As this mattress is designed with comfort in mind, as if lying on a ‘fluffy cloud’. Zempurest Contract Mattresses are available in x 3 depths to offer a choice from soft, medium and firm feels to accommodate all sleeping preferences. The concept of the mattress has been based on a Tempur mattress with a luxury, supportive comfort layer. However, the mattress foams used are all 100% British made and therefore conform to all of our Fire, Health and safety requirements as standard. The 10″ mattress has been externally tested to show the excellent performance of the pressure relief properties of the mattress. The design concept has been supported by science as well as a visual process. The knitted stretch cover works in harmony with the foam core to add further comfort. As the cover is zipped on it can be removed and washed at 30* to maintain a clean and hygienic environment at all times. As an optional extra a stretch PU vapour permeable cover(breathable) that is antibacterial and fully waterproof can be purchased to maintain the luxurious inner foam core. The Zempurest Contract Mattress could be your answer in the battle against, bed bugs, whether we like to admit it or not they are a major problem in a lot of 5* Hotels due to the high level of International travel. 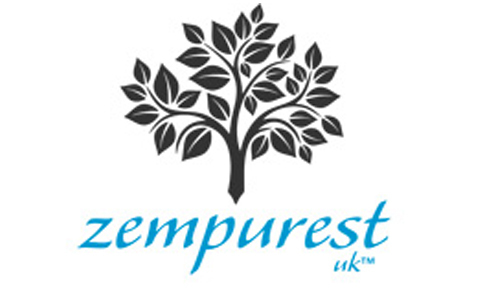 Zempurest contract mattresses are made from 100% foam which is naturally bed bug and dust mite resistant. The foam used is also hypoallergenic and anti bacterial which are further great attributes for a multi use mattress. For even more protection for your client’s the mattress core is encased in a stretch PU waterproof and vapour permeable zipped on cover. This cover will protect the foam core from liquid staining and but will still be able to ‘breathe’ to help regulate the user’s body temperature. The PU cover will not ‘rustle’ when slept upon and the user will not be aware that they are sleeping on a waterproof layer. The PU cover then has the stretch organic cover on over it so that all your client’s will be aware of will be the luxury top cover. Both covers are machine washable to maintain a completely hygienic sleeping environment at all times. As the covers can be washed, when the foam core needs replacing, the covers can be retained and the foam replaced only. The foam can be returned to RPL for recycling as the foam is 100% recyclable which will prevent a Zempurest Mattress from ever needing to be added to a landfill site. A great environmental reason to consider a Zempurest Mattress! Unlike traditional memory foam the unique top layer has the ability to cradle and support whilst not generating any heat for the user, which is the downside of any memory foam mattress. Hotels are generally quite hot environments and unknown to a lot of people the body needs to be reasonably cool for the brain to ‘switch to sleep mode’. Excessive heat means we struggle to get our brain’s to understand that it is time to sleep irrespective of how tired we feel. So the Zempurest mattress is not only designed for the ultimate in comfort but the science of the mattress will allow you to ‘surrender to sleep’ much easier. The Utopia of Sleep can be found when using the Zempurest Mattress.